Mortgage Rates: On the Rise? After an historic seven year run of low mortgage rates, economists are predicting a rate increase in 2017. According to the Wall Street Journal, there has been a surge in rates since last month’s election – an increase of about a half a percentage point. Further, it is expected that rates will continue to rise, albeit gradually, due to the strengthened economy. 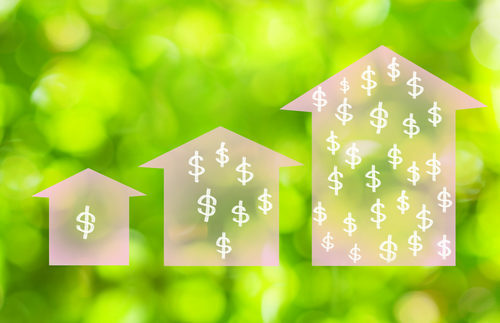 Because about 66% of all homeowners across the country currently have mortgage rates below 4.5%, there is concern that, as rates rise, these families and individuals would be less likely to move and buy a new house because they won’t want to pay a higher rate. This dilemma is called “rate lock” and is described as when “homeowners love their mortgage more than they hate their house.” Or their job, for that matter. People would be less likely to want to move to another city to pursue a better career opportunity, reasoning that any salary gains would be offset by a higher mortgage rate. However, Bankrate believes that, over the next week, rates will either remain the same or fall slightly. So, if you see a rate you like and are in the market, now is a good time to lock in that rate. The economic forecasters at Kiplinger’s state that we are heading into a period of inflation and that will drive mortgage rates higher. They believe that OPEC will cut oil production, which leads to higher oil prices and boosts inflation. They also believe that president-elect Trump’s new policies will cause larger government budget deficits, also causing inflation. According to The Dallas Morning News, mortgage rates are expected to rise about another half a point next year. Higher mortgage costs could dampen home sales and restrict home price increases in 2017. Additionally, many first-time homebuyers may be priced out of the market, because they are the ones who are more likely to stretch their budgets and even a half-point increase can be enough to change their minds. It appears as though mortgage rates will rise slightly over the next several months. If you are in the market for a new home, or even considering buying or selling, now may be a good time to get serious.